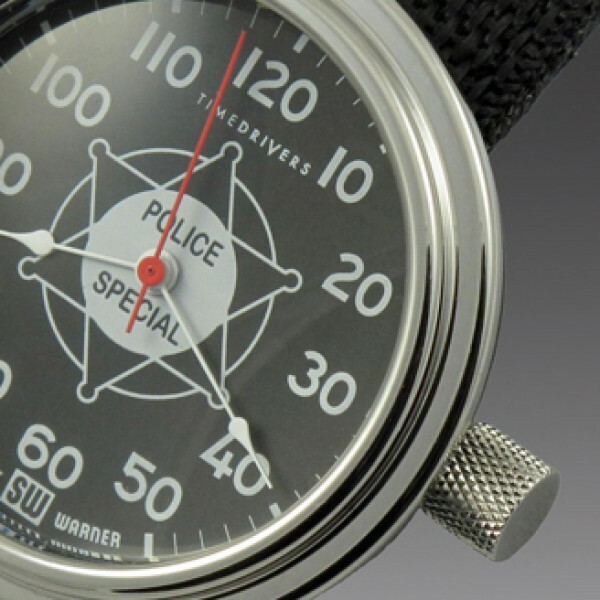 Stewart Warner made “police specials” from the 30’s to the 60’s- as standard equipment on Harley Davidson police bikes and as an accessory for cop cars. 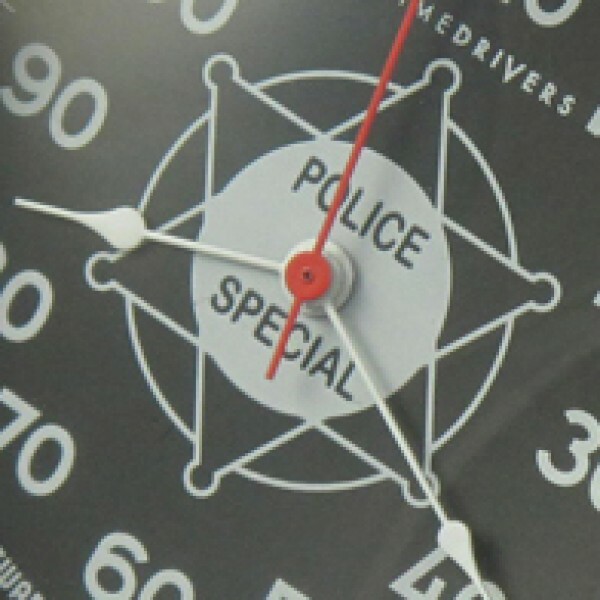 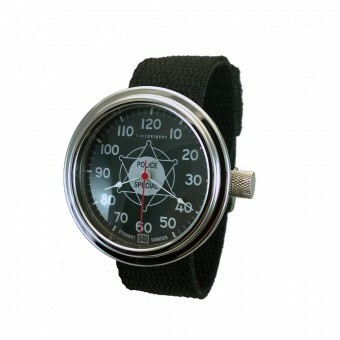 Both featured a knob that locked the needle at the maximum speed the officer observed while pursuing the speeder. Under license from Stewart Warner Timedrivers interpretation as a watch features the distinctive badge on a black dial, offset by the highly polished stainless steel bezel and the curved mineral glass crystal. 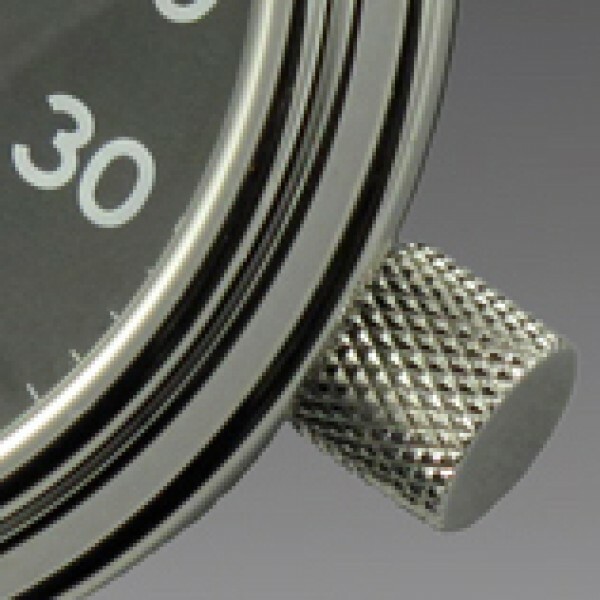 Completing the cop look is a rugged ballistic nylon strap, knurled crown and polished buckle.